Before They Pass Away is a photography series by Jimmy Nelson, currently on display across two galleries in Germany’s capital, Camera Work and CWC Berlin. The exhibition, which documents indigenous peoples from around the world, will be on display until June 21. Review by Vanessa Ellingham. It was the title that struck me first. What an odd statement: indigenous people are going somewhere else, disappearing. “Not that I know of,” I thought. And I would know: I am one. Today the indigenous rights movement supports peoples who live amongst diverse levels of development, face different levels of colonization and are ruled by disparate types of government. But despite the diversity that divides us, the idea of our extinction is romantic at best – it frames us as fragile wild animals, powerless against a stronger force. The indigenous rights movement is not about preservation of our selves, but of our rights; to land, to self-determination. In some parts of the world it’s about simply being recognized, while in others it’s about being consulted in decision-making processes that affect our ways of life. So what could this collection of photographs tell me about the plight of indigenous peoples? Not very much. The photographs themselves are visually stunning. People standing in glorious natural landscapes wearing fabulous costumes; warpaint, feathers, weapons. Dramatic lighting only adds to the romanticism of these people who peer out at the world, as if none of their eyes have ever seen a camera before. But that simply cannot be the case. As I moved through the exhibition I found myself going along with these romantic portrayals on the basis that the public’s interest in them could possibly breed a form of awareness, on some level. That was until I spied the photograph chosen to represent my own people, the Maori of Aotearoa, New Zealand. 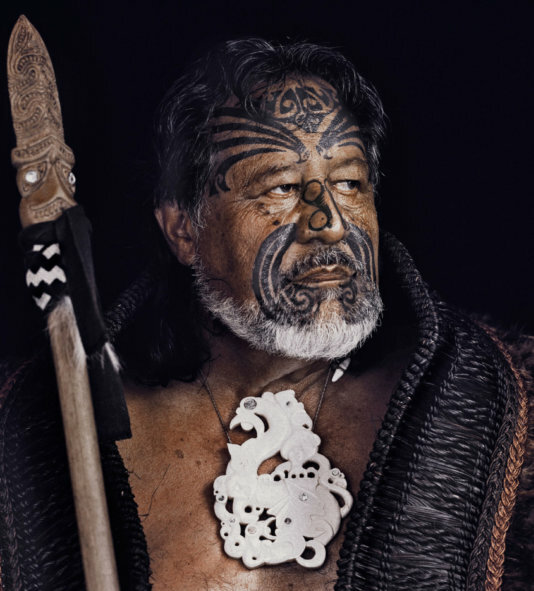 In the gallery I found a photograph of a Maori man in a limited edition exhibition book with a price tag of €6500. With just 500 copies printed, book sales alone could generate more than three million euro - and that's without the sale of the photographs themselves. I'll get to that pricing shortly. 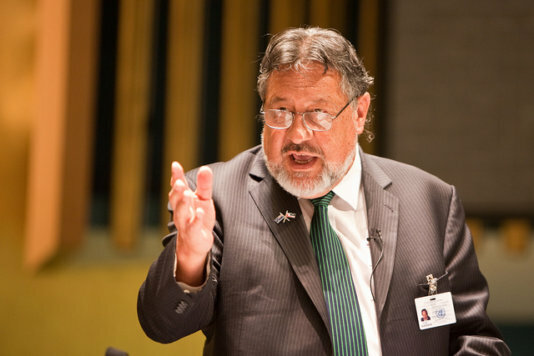 The man I found in the book was Pita Sharples, former co-leader of the Maori Party who recently finished nine years’ service in the New Zealand parliament. Up until this moment, I had only ever seen him wearing a suit. But here he was, traditional facial tattoo impermanent on his face, majestic bone carving hanging from his neck, warrior spear in hand. And while I know that Sharples and other Maori like him wear traditional clothing on special occasions, I struggled to see this as an accurate representation of the man I know as Pita Sharples. The Pita Sharples I know wears a suit, because he has been working in a western parliament wearing western clothes. Because that’s what happens when your people are colonized: everything changes. But there is no sign of that change present in Nelson’s images. It is as if we have gone back in time – and it doesn’t do indigenous peoples any favours. Jimmy Nelson took these images during a sponsored trip around the world to document various groups of people. And yet the prices of the photographs reach tens of thousands of euro. Where is this money going? If it was going towards projects that support indigenous peoples, I’m sure the exhibition’s curators would have made a point of letting us know. But they didn’t. Once again the lives of some of the world’s most vulnerable peoples have been appropriated for the colonial gaze. Glorifying people does not serve them any purpose other than that. These photographs speak a truth, but not the truth that matters.